Q. T-ara debuted in 2009 so now you’re going on your 9th year as a girl group. How does it feel putting behind all the times you spent together and preparing for your last album? Honestly, we didn’t know the news would come out first. We were discussing T-ara’s future just amongst ourselves when suddenly we saw the articles so it somehow,,, felt like we can’t turn back now. “Ah it really turned out like this,” this is how we felt. But deep inside, we thought “since there’s still time left, we have to wait until then to really know.” When we saw the news articles, we shared lots of messages like “I feel strange” in our group chat. Q,You must have talked a lot regarding the group’s future amongst the members. We all know that nothing good comes from us splitting apart. The things we have achieved so far, it’s a waste…. Anyway, we all cherish T-ara all the same. Q.But why can’t you be together anymore? We all want to stay together. But now we all are old, and it’s not like we can force each other to choose the same path. Each of us wants something different as well. However, regardless of which company we are in, I hope we can meet up amongst ourselves again later. We talked about this before, that’s what we are hoping for. To be honest, reality still hasn’t hit us yet. Q.The fans and the public will probably feel sad about the timing (of your breakup). Because T-ara had so many ups and downs yet still kept promoting steadily and always achieved good results. 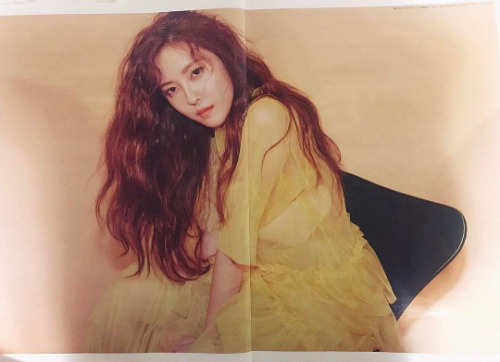 Even recently, new evidences surfaced about the bullying scandal, in which T-ara used to be drawn as the ‘perpetrators’, and people started having a new perspective about it as well. It’s very ambiguous. Lots of time has passed and we started feeling indifferent about it, we can’t even be sure if we had any bitterness deep inside regarding that scandal. We don’t feel relieved that “the truth was revealed,” not at all, we simply hated that it was mentioned again. Because there are lots of such perceptions about T-ara… we always stay quite or try to be careful but then people start talking about us. Q.Wouldn’t it be even more sad for the fans that you’re disbanding now after they have sticked together with you all through such crisis? Our fans is the saddest part about this. Our fans had it tough too. For us, it’s something that we brought upon ourselves. Because we know well about our naive and immature actions…whenever we get criticised or go through difficult times, I believe it would have been difficult for our fans to confidently say “I’m a fan of T-ara.” We want to repay back our fans even if just by a little, we all feel the same about this….that’s partially why we carried on until now. Of course, we also carried on for the sake of our families and ourselves as well. Q.We heard that you’re very close with your fans. Yes, there are lots of fans whom we know their names and faces. Our fans are way more mature than we are. I don’t know how to feel about saying this but if I was a T-ara fan, I would’ve switched to another group long time ago. Rather than being thankful for certain words from our fans, we were just very thankful that they treated us as if nothing happened. That’s why… (Hyomin became speechless here). Q.It must be very upsetting. Yes. We feel very…. Since 5 years ago, we didn’t have any special goal. But even then, not a single member said that she doesn’t want to do this anymore, we just carried on altogether. We came this far just relying on each other (the members) so it’s a shame (to let go now). (Hyomin started tearing up). We talked about this a lot as well. I think it’s only right to keep going until the end. Because if we were to quit we would’ve quit sooner, and if we didn’t want to do this any one of us could’ve have quit earlier but not a single one of us did. Q.During T-ara’s peak days, you had lots of schedules that you couldn’t sleep more than 2 hours a day. There were lots of different talks about T-ara, but no one can deny than you were a hard working team. Is there anything you want to praise yourself for when you look back on the past 9 years? Um….the fact that I became able to just accept and adjust in any situation. In the past, whenever I am put in an unpleasing situation on or whenever something bad happens, I can’t accept it and just get sad by myself but now it’s different. Maybe because I got older as well (laughs). Q.Have you ever thought that if you can fix just one thing about that situation, everything would’ve turned out better. Have you ever had such regrets about the issues in the past? “I should’ve held it in,” this is what I thought. We all were so young. Q.In a past interview, you mentioned “I look up about myself a lot. I know even the rumours other people don’t know about myself.” Do you still do this? It’s not that hard. I think I became indifferent. Rather than getting hurt over negative talks, I instead gain strength from the small supporting words or positive mentions in between the lines. The public and the netizens wouldn’t just criticise someone who has no fault. People’s criticism wouldn’t turn into praises all of the sudden, so it’s easier that I change, myself. That’s how I thought. It’s important to recognise the problem, that’s why I look it up. I think things changed way more positively through time. Although while promoting in T-ara, there were much more negative situations. Q.Through the time you promoted in T-ara, what is time you felt the happiest to the point where you want to go back in time to? I want to go back to out debut days. The youngest days of our promotional cycle. (laughs). We were fresh out rookies back then so no one even knew our names or faces. All of the MCs were dumbfounded. They told us to introduce ourselves first, they were like “Who the hell are you?” (laughs). We even had a phone call with Kwangsoo CEO during the broadcast. Q.It was such a one-of-a-kind debut. You were probably even more nervous than on stage. Of course. It’s a period of time in which one gets nervous over anything. We also were very embarrassed when we saw the script, we thought “who comes out on TV first then introduce themselves (for the first time).” We felt that we must introduce ourselves well so we even practiced doing talent shows for each other. We couldn’t just sing and dance only, so we divided roles between us just like in a school play; Boram unnie did cartwheels, I did musical, Jiyeon did board smashing, and so on. We wanted to show something new. Q.Do you want to debut in the same way even if you go back in time? If I had the choice, I do want to do that. It’s a very big opportunity for a rookie. Actually, we want to go on <Radio Star> one last time before disbanding. We did voice out our desire to do that but we can’t be sure if that will happen or not. Q.Let’s talk about your future. After your last album promotions, you have to slowly start preparing for your solo activities. There are no plans at all yet. Q.You don’t have anything you want to do either? There are lots of things I want to do but…I don’t think it’s the time to do what I want to do. I want to do something I can be good at or learn something new. I have lots of interests in videos and pictures so I want to try travelling alone. I have never travelled alone before. I have lots of fears, also my parents don’t allow it. Q. Wouldn’t it feel lonely? During a point of time I used to feel lonely when I’m not dating, but I think I feel way less like this now. I’m my parent’s only child but I still know how to play by myself. The time I spend alone feels lonely yet fun too. Just because I have someone by my side doesn’t mean it will fill up my loneliness or eliminate the hollowness in my heart. Q.You’re already 29. It’s a point of time where women commonly start having lots of different thoughts. I don’t think much about it. I was rather depressed last year because it’s the last of my 20s. But this year, it’s already April before I know it. Each new year, I always have something new I want to try but I don’t think I have anything in particular this year. I just enjoy doing what I want to do from time to time and also rest in between. I don’t think this is right but…I will be jobless after T-ara disbands. (laughs). It’s a point of time where I have to start doing something but I just can’t think of anything. I think I’m being the most idle I’ve been my entire life. To think about it, I used to plan a lot when I was younger. Q.You worked so hard all that time so I don’t think it’s a bad thing to rest a little now. I think like that sometimes too. I believe it’s a good thing that my anxiety is gone. We used to have so much schedules but then suddenly none so we now know how to be grateful for having work to do. Q.What kind of group do you want T-ara to remain to your fans? (Hyomin paused to think for quite a while). There are probably many people who think “T-ara are such persistent kids”, I’ve been grateful just for this alone. I really wanted to continue doing this until the end while hearing ‘persistent’. If I have anything to wish for, I want to be persistent again together with the members. Although no one knows when. Q.What do you want Hyomin to be remembered as? HYOMIN ASKS, TAROT CARDS ANSWER. 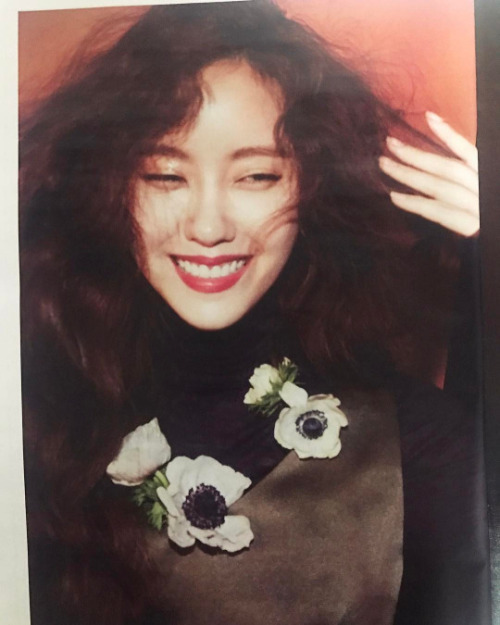 Hyomin: This might not be T-ara’s last album…but anyway, this so-called “last” album, will it turn out well? Answer: This card refers to ‘me’ of the past. It shows that you had lots of thoughts and worries, but even so, you kept your balance and tried your best to work hard. The card that refers to the current you shows that you’re still maintaining your balance. You are maintaining your balance between your past experiences and the positive influence of your future. At last, the card that refers to your future shows that you will have something to gain even in the midst of a stressful situation. It means that even though you might not be necessarily happy, you will still gain something even in the midst of concerns and worries. It means that you will get stronger and will gain new possibilities in the future. You can say that you will have a successful fruit-bearing. Hyomin: Does this divination sign apply both on me and our team? Answer: This divination sign applies on the person picking up the card. But of course, since the question is about a team album, it will take an influence on that too. Hyomin: Will my solo endeavours turn out well in the future? Answer: This card means that you can be either the superior or the assistant. It means that instead of being confident of the things you have achieved so far, you will start having the desire to try something new. This card that shows a person hanging upside down means that you will start viewing your job in a different perspective. The other card means conflict. You will have a conflict between the thing/job you have done so far and the new thing/job you will be doing. Hyomin: I’m 29 now. I’m curious about my fate that will approach me in the future. Answer: The two cards you have picked have the same meaning. One means new news coming to you and the other means letter. If we were to interpret this, it means that someone will confess to you. This card means someone will passionately and enthusiastically ask you out. It’s a person who has known you for a long time. They’ve been faithful all along and never had a change of heart. But even then, you will still hesitate. Because the feelings you have for that person are close to friendship. Looking at the card, that person will confess to you very soon. I wonder who’s going to confess to Hyomin? hehehee Anyway, doesn’t Hyomin mentioning this won’t be T-ara’s “last” album saying something?! This definitely links to Boram asking the fans to trust in T-ara and that this is not the end of T-ara! OMG. I think Hyomin is careful with an interview. So if they won’t reunite, their fans won’t be too sad as like as if T-ara give us hope, but then they couldn’t do it.